There is nothing more annoying when you’re hungry than reaching into the freezer and finding you can’t access your food because the door is stuck! A build up of ice in the freezer can cause doors to jam, so it is important to maintain the appliance regularly. Whilst this may be a tedious task for some, failing to defrost your freezer can not only cause the doors to jam but it can also mean your food doesn’t stay the right temperature. The last thing you want when you have finished defrosting your fridge freezer is to come back to puddles of melting ice cream and soggy defrosted pizzas. For this reason, it is probably best if you time your freezer maintenance just before you do a food shop and you have eaten most of your frozen goods! You can always ask a friendly neighbour to keep hold of a few bags of frozen peas if needs be. Once your freezer is nice and empty, be sure to switch it off at the wall before you begin. Working with a large amount of ice can cause a lot of mess when it melts if you aren’t careful! One of the best places to start is by putting down layers of newspaper and kitchen towels around the bottom of the appliance, on the floor nearby and inside the freezer. Be sure to replace every couple of hours to avoid them being soaked through and causing any damage. Before you defrost your fridge freezer, attempt to remove the drawers if this is possible, as it will speed up the process. If they’re frozen stuck, wait a few hours until the ice starts to melt and try again. If your appliance has a drainage hose or drip tray, remember to tip out the water as it melts to avoid any leaks! Defrosting your fridge-freezer is the part of the process which will take the most time and effort. There are two ways to do this, depending on how quickly you want to get the job over and done with. You can either wait for the ice to melt naturally, which is the most eco-friendly method! Or to speed things up you can place bowls of hot water on the shelves. Be sure to mop up the water as you wait, and you can use a wooden spatula to remove stubborn ice if you need to defrost your fridge freezer as soon as possible. Just be sure never to use any sharp objects as these can pierce your appliance. Once all the ice is gone you can even use this opportunity to give the appliance a well-needed spring clean! Before turning your device back on, ensure that you have fully dried the machine down, otherwise you will allow ice layers to form again. Let your appliance cool down fully before placing food back into the appliance. It is also a good idea to check the door seal to ensure the grooves here are well oiled, as this helps keep the suction strong enough to avoid any cool air escaping. 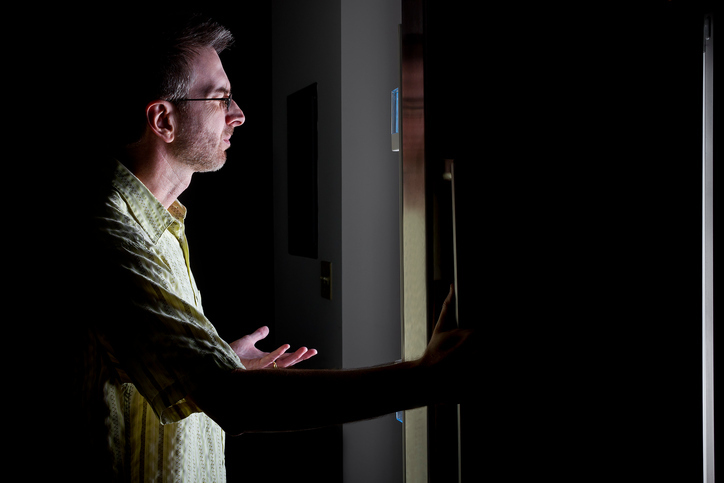 If you think you have any problems with the door seal, get in touch with our freezer repair experts who will be more than happy to offer a helping hand. 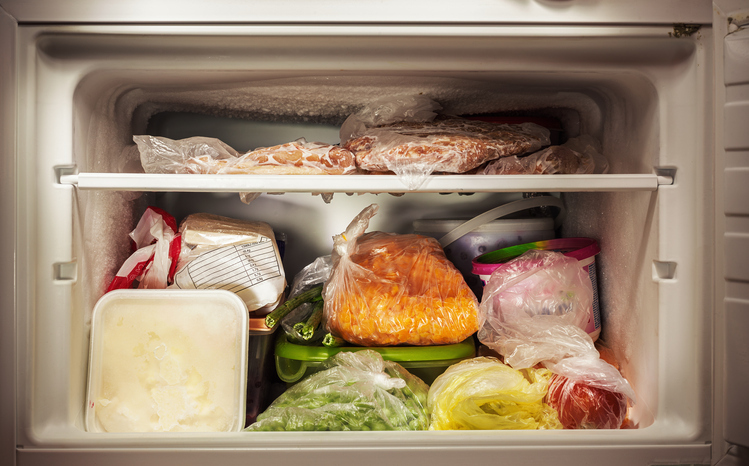 Place the food back inside the appliance and remember to defrost your fridge freezer every couple of months to keep it in tip top condition! If you need further reassurance or guidance on this, or any other appliance issues, feel free to contact our friendly team and we will do our best to help.